Mike Bailey fulfilling the dynamic role Wolves fans fondly recall him in. Mike Bailey is to be John Richards’ next subject in our Q & A feature. 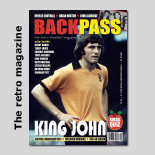 The inspirational long-time Molineux captain has agreed to step in and field questions from readers and JR himself. The feature is due to be posted in the second half of June and we have been bowled over by the number of questions our readers have submitted. “I’m on record as saying that I regard Mike as the best skipper I knew and the best Wolves have had since Billy Wright,” Richards said. “He really was a leader you responded to and wanted to play for. If you let your standards slip, he wasn’t slow to let you know. “I have very fond memories of playing alongside him. We had many years together in the same Wolves side, so I’m looking forward to talking to him at length about that era. “But the idea of this feature is that we put readers’ questions to the chosen person. With that in mind, we want to hear from as many fans as possible. 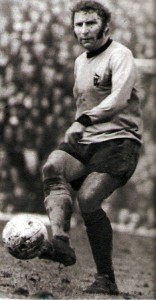 Bailey had twice been capped by England when he was signed by Ronnie Allen for £40,000 from Charlton in March, 1966. 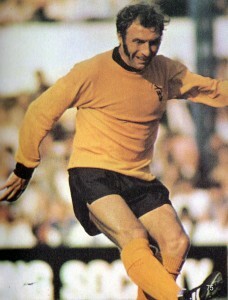 The Legends section of this website shows him to be standing 13th in the list of all-time record Wolves appearance makers with his 436 games for them in League and cups. The highlight of his 11-year stay was lifting the League Cup at Wembley in 1974, although he was also named as Midlands Footballer of the Year in 1967 after skippering the club to promotion back to the top flight. 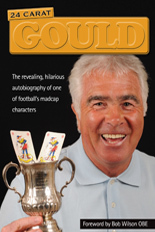 What is less known is that the 68-year-old served Wolves as a scout in much more recent times. Posted on: Thursday, May 27th, 2010.